Here we present links to twenty selected highlights from the nearly 500 stories and poems published so far on the AWWP online magazine. A Pretty Toy in My Family’s Hands. An Afghan woman keeps the story of her marriage and her confiscated child a secret. One writer running for parliament talks about vote-selling in Running for Parliament, Afghan Style. On a bus from Kandahar to Kabul, a writer finds herself in the middle of a firefight. This woman shares what she feels, being Under Burqa. What makes Afghan women laugh? A writer answers in The Mirror. It took our writer six months to agree to write this piece (I Am For Sale, Who Will Buy Me?) about a forced marriage. After this piece ran, she escaped the marriage with the help of donations from readers, but currently lives in fear and hiding from her uncle. A Mother Expecting Still is a true personal story, though written in third person. This poem emerged from a mentor prompt to write about what it was like to be 15 years old. Life in a Talib-Held Province is from a writer living, with enormous courage, in Taliban-held territory. My First Namaz, a lovely poem on loss and prayer. Kill Silence: A battle cry from an AWWP writer. A writer was visiting her grandfather in the hospital when she met the girl who inspired the poem, I Thought It Was a Dream, But When I Woke Up I Couldn’t Walk. A writer loves her country but wishes she didn’t. A writer shares her mother’s shameful secret: she’s a Shiia. 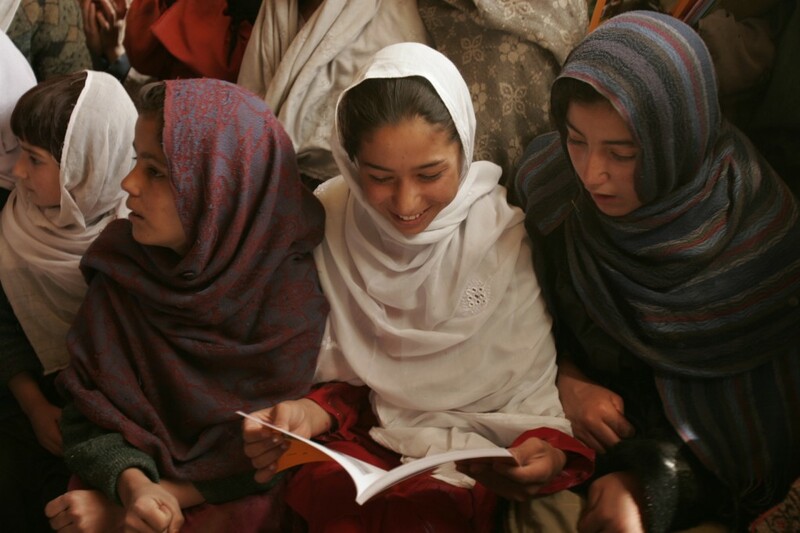 In Theater Under a Blanket, three children defy the Taliban by watching a videotape on television. This writer enjoys a walk before work on a beautiful Spring Morning. After reading Bao Ninh’s book about war in Vietnam, this writer contemplates The Sorrow of War in Afghanistan and elsewhere. A poet asks her soul what will happen If I Don’t Write. Snapshots from Home: a three-part photoessay about everyday life in Kabul and the province of Herat.